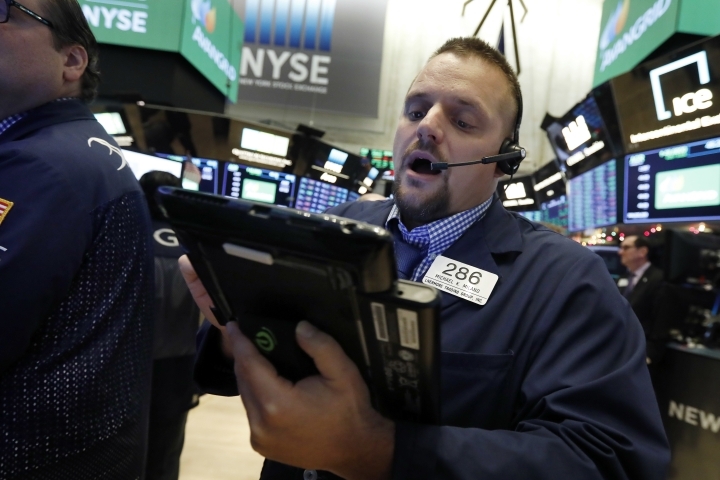 The wave of selling erased the market's gains from a day earlier, when stocks rallied on news that the U.S. and China had agreed to a temporary truce in their trade dispute. Investors' confidence in that truce appeared to falter Tuesday, contributing to renewed fears about a slowing global economy. Homebuilders fell after luxury homebuilder Toll Brothers issued a cautious assessment of the housing market. Toll's shares rose 0.4 percent to $33.67, recovering from a morning sell-off. Hovnanian Enterprises led most builders lower, giving up 10.3 percent to $1.10. AutoZone climbed 5.6 percent to $870.65 after the auto parts retailer delivered third-quarter earnings that exceeded analysts' forecasts. The dollar weakened to 113 yen from 113.69 yen late Monday. The euro strengthened to $1.1349 from $1.1342. The British pound fell to $1.2727 from $1.2728 after a top official at the European Union's highest court advised that Britain can unilaterally change its mind about leaving the EU as scheduled on March 29. Markets in Europe also fell. Germany's DAX lost 1.1 percent, while France's CAC 40 dropped 0.8 percent. The FTSE 100 index of leading British shares slid 0.6 percent. Major indexes in Asia finished mixed. Japan's Nikkei 225 index gave up 2.4 percent and the Kospi in South Korea lost 0.8 percent. Hong Kong's Hang Seng added 0.3 percent. The S&P ASX/200 in Australia gave up 1 percent.